The Pacific Science Center (PSC) has been a landmark in Seattle, making science accessible to children and adults. 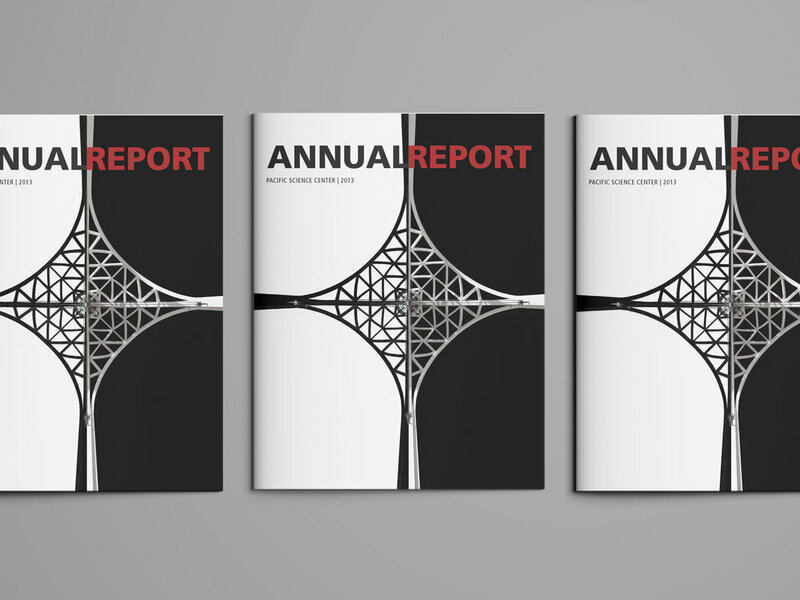 The 2013 annual report focused on PSC’s approaches to inspiring change through science. 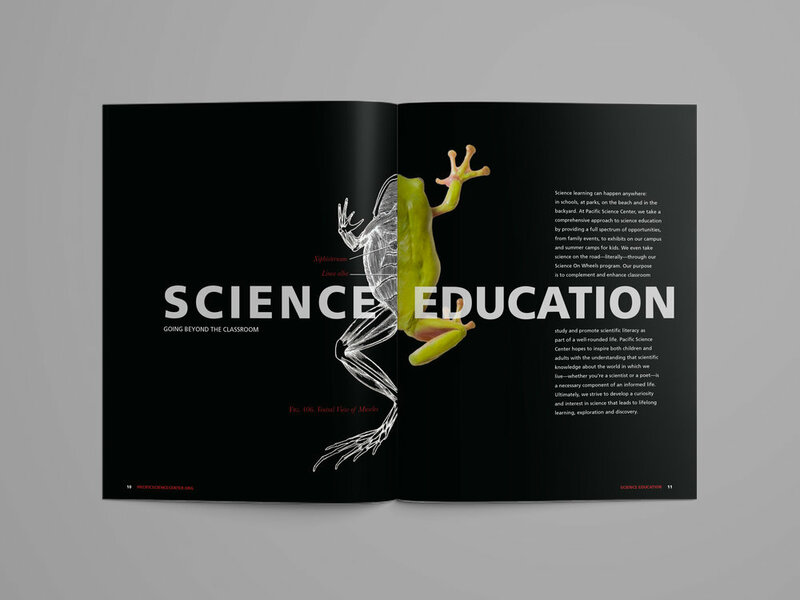 The design took advantage of the book’s gutter to show a visual juxtaposition correlated to each section (e.g., a donut to an apple representing better health; a scientist to a non-scientist representing accessibility to science professionals; text book diagram of a frog to a live frog showing that learning can happen outside of the classroom).